Cold Steel's Irish Blackthorn Walking Stick has been a firm fan favorite since its inception. Its good looks, combined with its hard-wearing materials have made it an often imitated but never equaled classic! Now, we are proud to add a "little brother" to our line-up. A shorter, lighter model that we simply named the Blackthorn Shillelagh. Modeled after an ancient cudgel in Lynn C. Thompson's private collection, the Blackthorn Shillelagh mimics the look, feel and balance of the original, but made from high-impact polymer that will withstand even the harshest weather conditions. 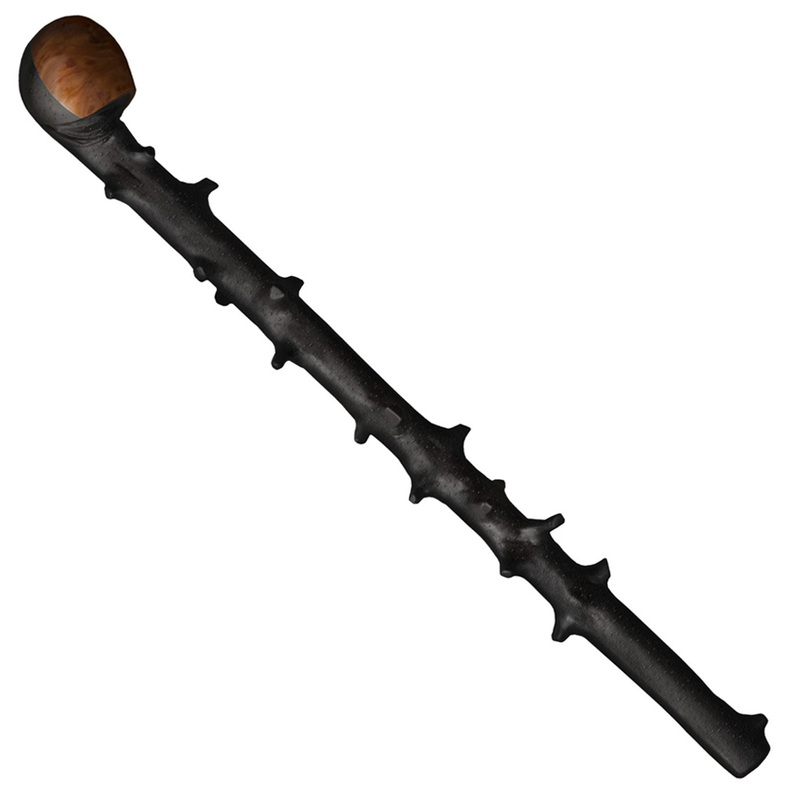 With a handsome bark-like wood texture and raised "clipped thorns" on the shaft, and a highly polished faux-wood head, this good looking stick will be sure to turn heads – whether it is carried under your arm at a historical re-enactment event, or simply hung by the door to greet uninvited guests.